Found one file extension association related to pgAdmin and 1 file format developed specifically for use with pgAdmin. The application may be used on Linux, FreeBSD, OpenSUSE, Solaris, Mac OSX and Windows platforms to manage PostgreSQL 7.3 and above running on any platform, as well as commercial and derived versions of PostgreSQL such as EnterpriseDB, Mammoth PostgreSQL, Bizgres and Greenplum database. 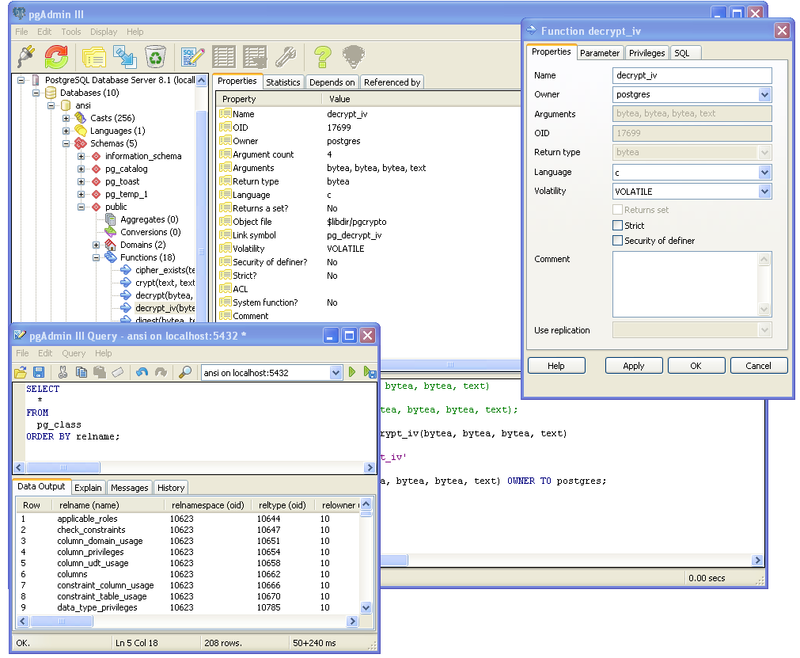 The graphical interface supports all PostgreSQL features and makes administration easy. If you need more information please contact the developers of pgAdmin (community of PostgreSQL experts), or check out their product website.